Dollar General has all your favorite Kraft products! 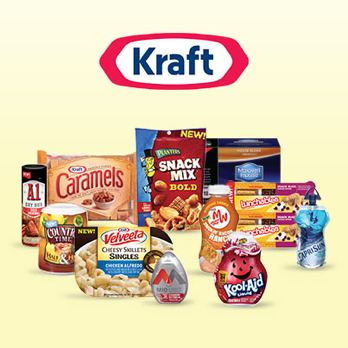 You are here: Home / Uncategorized / Dollar General has all your favorite Kraft products! Summer is coming to an end and if your kids haven't headed back to school yet, they probably will be soon. To help you pack those school lunches, Dollar General has all of your favorite KRAFT products! Two of my children's favorites are the LUNCHABLES UPLOADED Lunch Combinations and the CAPRI SUN Big Pouch. I work full time, and mornings are always hectic. I love that LUNCHABLES UPLOADED Lunch Combinations have everything including a drink, so on those really busy mornings all I have to do is throw them in a lunch tote for my kids and they feel like they're getting a special treat! My son loves the Chicken Dunks and my daughter loves the sub sandwiches! 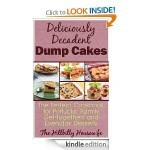 They've got 7 different varieties, so there's something for everyone! 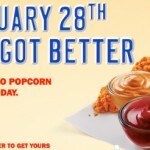 What are YOUR favorite KRAFT products? 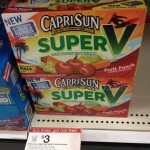 Capri Sun MONEYMAKER at Kroger Stores! 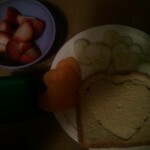 What’s in Your Lunchbox Wednesday: With Love from Mom! 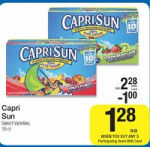 STOCK UP Deal on Capri Sun Drinks! 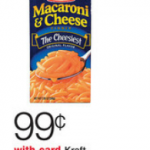 Kraft Macaroni & Cheese just $.66 each after coupon!